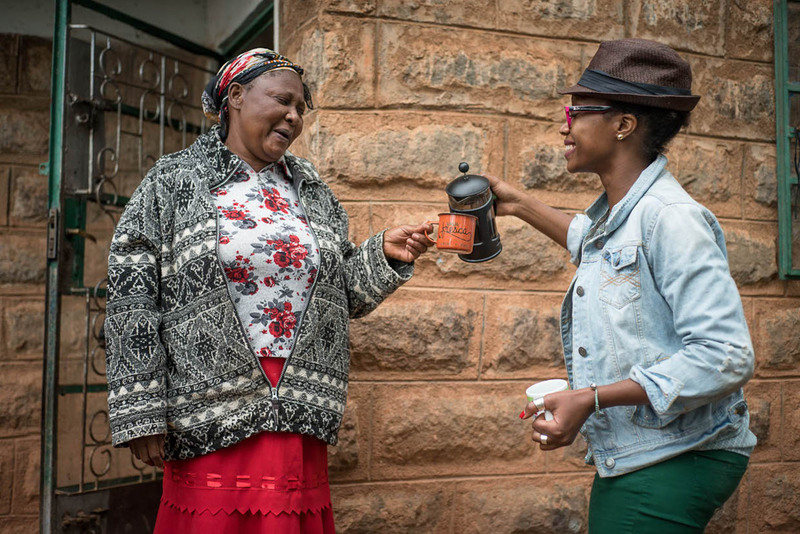 Vava Angwenyi lives in Kenya, but she works wherever coffee takes her. 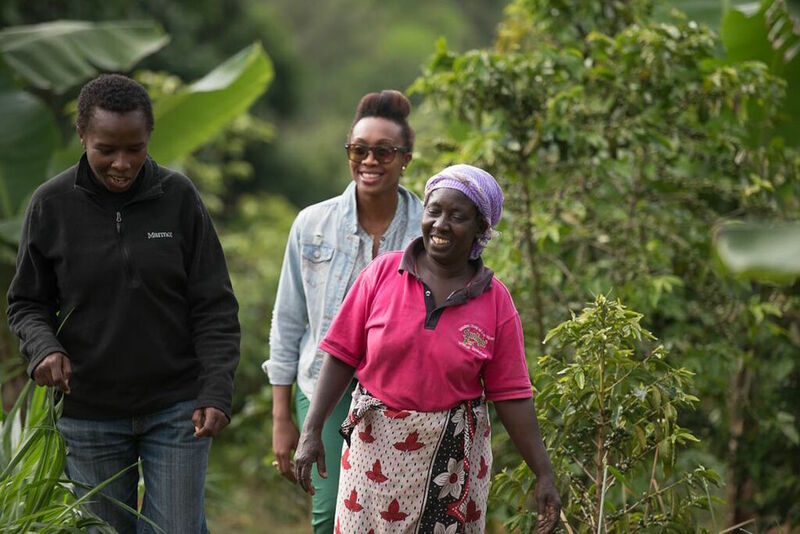 She is the “Chief Coffee-holic” and founder of Vava Coffee, a social enterprise working to improve future prospects for local communities and the coffee industry as a whole. She is also the co-founder and director at Gente Del Futuro, an organization that works to address two critical issues for the coffee industry: producer profitability and next-generation involvement. 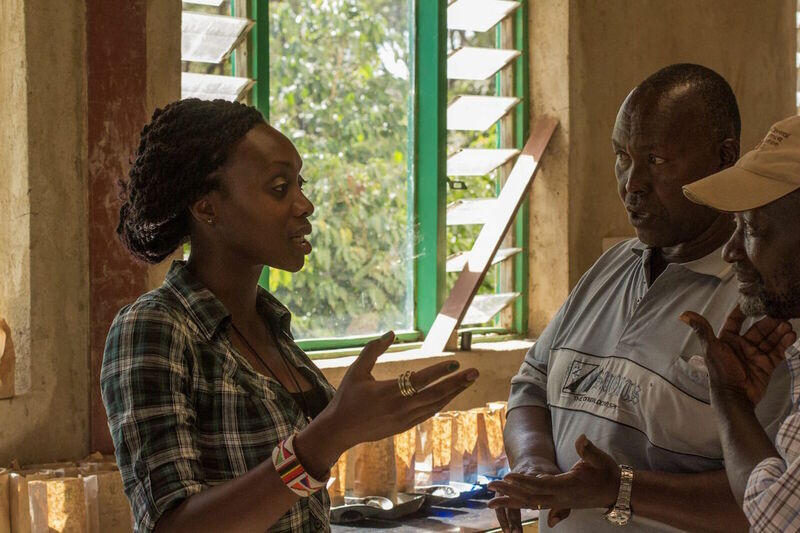 Angwenyi founded Vava Coffee in 2009 with a goal to ensure sustainable livelihoods for the people in coffee-growing communities by giving them a chance to earn a living and get out of poverty through work-skills development. 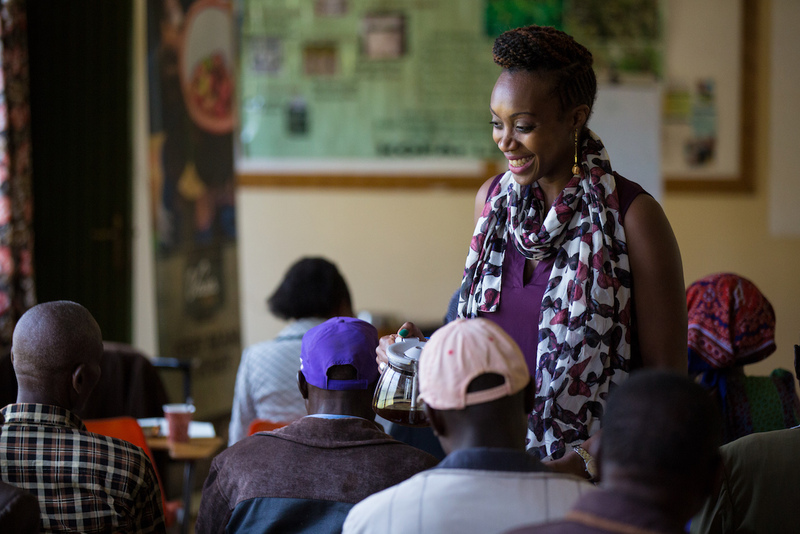 In addition to working with smallholder farmers in different coffee growing regions within Kenya, Vava Coffee manages the production of coffee gift bags made by groups of women in the informal settlements surrounding Nairobi, Kenya’s capital city. Gente Del Future was established in 2017, developed in partnership with African Plantations Kilimanjaro Foundation. Through a cross-cultural training program, young people will have the opportunity to attend the first phase of a training program to obtain practical and technical experience in Tanzania, Kenya, and Colombia. 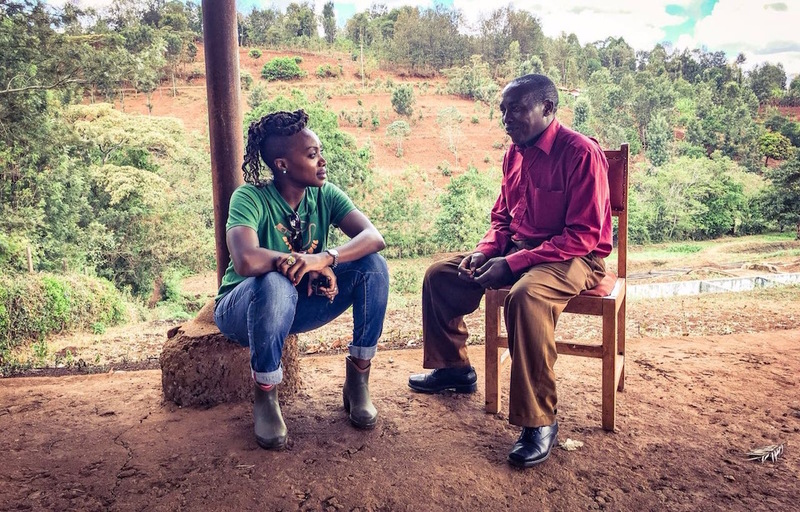 The organization’s focus is to amplify the voices of youth by creating economic empowerment, choices, and sustainability for the coffee industry. In her “free” time, the Coffee Quality Institute trainer and certified Q Grader serves as an Advisory Council member for the SCA’s Sustainability Center and recently volunteered as a committee member for the SCA Events Site Criteria ad-hoc Committee. 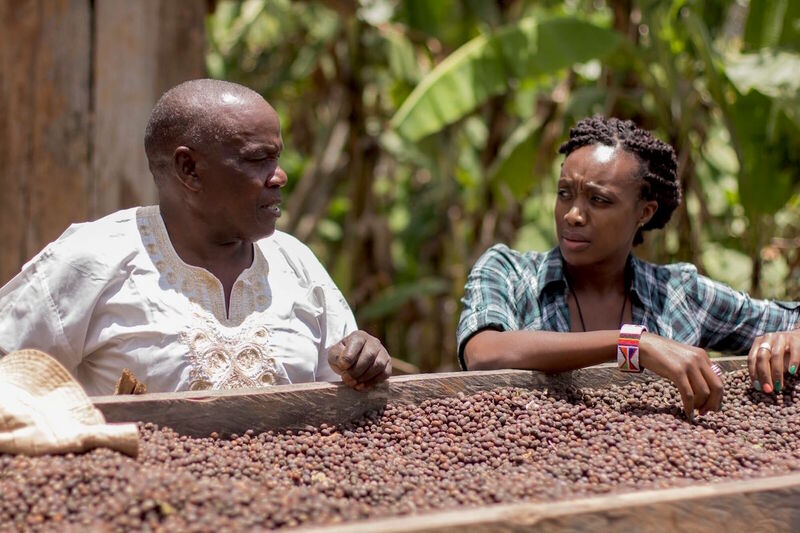 We asked Angwenyi, who’s currently speaking at the Re;co event in Seattle, about her career in coffee, as well as her perspective on where the industry is and where it could be going. Lily Kubota: How long have you worked in coffee and how did your career progress to this point? Vava Angwenyi: It’ll be a decade now that I’ve worked in coffee. My career has progressed through sheer grit, hard work, and perseverance — with a few good people along the way — and by believing in myself and my vision. LK: What are some of your personal goals with coffee (or outside of coffee) in the future? VA: I will do my best to effect change in the way trade currently works. It is currently not a sustainable model especially for producers and folks at origin, it is a model that tilts the balance in favor of consuming countries. I would like to produce and direct a series of coffee documentaries highlighting the stories of the faces behind the beans, and to illustrate the transformation of the coffee sector in Africa once we have implemented some of the ideas we have for training youth and women to take active roles in the industry. I would also like to write a series of books that may serve as encouragement and inspiration to any young people who want to take that risk to start something that matters. I want to contribute significantly to providing education within the coffee sector by actioning all of these ideas. Finally, I would like to put out my biography/autobiography to tell my story. LK: Have you had any mentors or influential people in your life that have helped guide your path? VA: I have had mentors that were not necessarily physical people that I looked to for advice. Seeing as what the landscape is for social entrepreneurship, or entrepreneurship in Africa in general, I sought advice through others that had seen similar tough times, largely via podcasts, books, and films. For me, the stories of Stonyfield Yogurt founder Gary Hirshberg and TOM’S founder Blake Mycoskie, as well as authors such as Robert Greene and Gillian Zoe Segal, and other figures like Ted Turner, Steve Jobs, Anita Roddick, Barack Obama, and Muhammad Ali, all had a lasting impact. I have looked to others who have overcome insurmountable difficulties to help me through my tough, dark days. LK: What are some of the obstacles you have faced? What challenges do you continue to face? VA: Well, this is why we need that book. From funding challenges, to dishonest partners and business people who take advantage of small enterprises and expose us to various unforeseen risks, to racism, sexism, and — you name it. But you have to look at the ‘obstacle’ as the ‘way’ and develop a little stoicism in order to overcome the challenges. 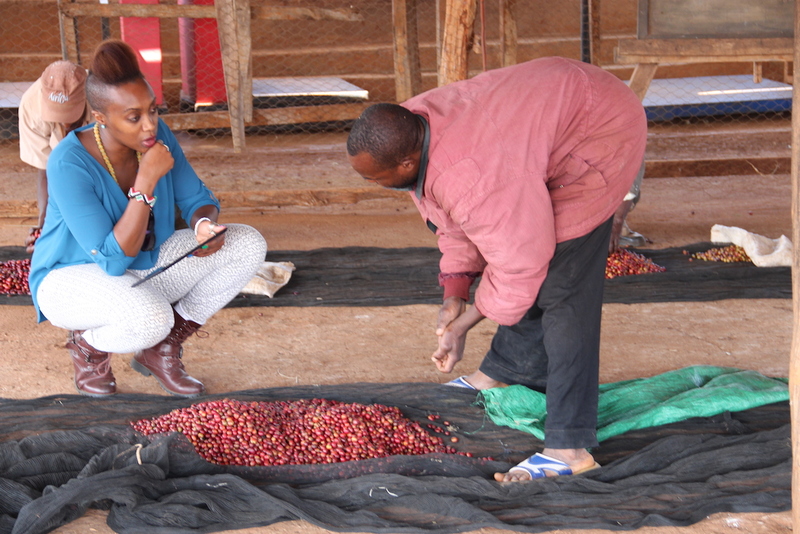 LK: What do envision for the future of coffee in East Africa? VA: I hope to see a more vibrant industry with more indigenous young people taking charge of the various roles within the sector as traders, exporters, and business owners. I hope to see policy changes that benefit the producers, and more visibility and decision making roles for women — but on this I would say women need to just step up and take charge as they will not hand us these roles. I hope to see a well-educated and trained industry from producers to consumers, and an increase in consumption and value addition at origin for East Africa. Only in this way can we truly transform the sector and make it viable and more profitable. Vertical integration is key for the long term sustainability of the industry in this and other regions. LK: If you could have coffee with anyone in the world, who would it be and where would you go? VA: One person is tough — perhaps allow me to fantasize a nice small coffee gathering with friends. I would invite the following to join me: Paulo Coelho, Che Guevara, Fidel Castro, Dave Chappelle, Larry David, Obama, Salma Hayek, Justin Trudeau, Oprah, Desmond Tutu, Mike Tyson, Muhammad Ali, Joan of Arc, Kendrick Lamar, and Bruce Lee. We would have an early morning coffee in Moshi, Tanzania, as we look at the majestic Kilimanjaro, at Mlama Farm. We would do a lunchtime coffee facing Mt. Kenya, and perhaps finish it off with a Colombian coffee experience at La Sierra farm in Antioquia, Colombia. VA: It has depth. In fact, coffee is really not a commodity in my world. Yes, we have commoditized it, it is traded, but when you dig in, coffee is deep. It is beautiful. It has its imperfections, as well. It has purpose; it unites; it tells stories. It is a tool for change in many communities. VA: Producer profitability and education. Next generation involvement and the need to educate youth to appreciate and understand coffee and the opportunities available to them if they decide to take that leap of faith and venture into careers within the sector. Visibility of women, especially strong black women at origin taking a stance on key issues. Sustainability that stems from those gaps for the industry, and climate change — but not in any particular ranking of importance. However, those are the most critical issues for me. VA: I would be telling stories of underdogs that do phenomenal things and take risks through film and photography, perhaps a director of photography or producer role. The other option would be getting fully involved in education. I used to lecture Economics and Actuarial Science – Risk Models to 4th year university students, so perhaps a part time job there — but I would definitely run a community based project off that, trying to effect some change and speaking up when things are not right. Although, I love being out there doing stuff — like coffee stuff — and inspiring the next person to take that risk in life.